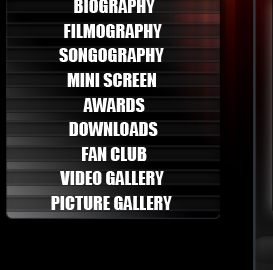 This website has been designed by Shaheryar, Ali Mehdi & Waqar Razi for All Karachi Super Star Nadeem Federation, a fan club, founded by M. Iqbal Baluch who is the founder Chairman of the club. It was established on 16th May 1988 with the written permission of Nadeem. The club has since been functioning for promotion of better cultural values. Besides, its members who are ardentadmirors of Nadeem decorate Cinema halls when Nadeem's films are released, write articles on Nadeem in magazines and periodicals and publish advertisements in appreciation of Nadeem's achievements. All Karachi Super Star Nadeem Federation in collaboration with two other fan clubs and arranged a grand Function (Silver Jubilee Program) in Nadeem's honour in 1992. Another such function (An Evening with Super Stars) was arranged in 1996. 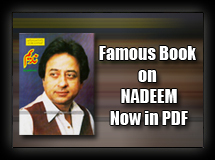 It also Published a voluminous book namely Nadeem Encyclopedia covering all sorts of information, records and achievements having connection with Nadeem.